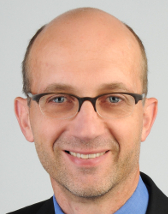 Thomas Meyer is Chief Executive Officer of Auris Medical Holding AG. Dr. Meyer founded Auris Medical in April 2003 and was the sole shareholder until the end of 2007. 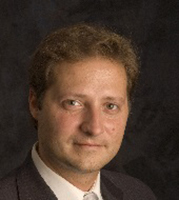 Prior to founding Auris Medical, he was the Chief Executive Officer of Disetronic Group, a leading Swiss supplier of precision infusion and injection systems. He worked for Disetronic in various functions starting in 1988, becoming member of the board of directors in 1996, Deputy Chief Executive Officer in 1999 and Chief Executive Officer in early 2000. Prior to joining Disetronic, he advised several Swiss companies in strategy, marketing and corporate finance. Hernan Levett is Chief Financial Officer of Auris Medical Holding AG. Mr. Levett, CPA, has served as Auris Medical’s Chief Financial Officer since January 2017. Prior to joining Auris Medical, Mr. Levett served as Head of Group Controlling at Acino Pharma AG and previously served as Vice President of Finance and Administration Europe at InterMune International AG. In addition, he spent 10 years at Novartis, most recently as Chief Financial Officer of Novartis Chile SA. “Mr. Levett: The company closed Q3 with 5.3 million Swiss francs in cash and cash equivalents. Since then, we have been active and raising capital. Following the offering we did in July 2018, we had warrants that were also exercised and brought additional cash during Q4 to us. Read the entire 2,933 word interview in the Wall Street Transcript and get clarity about the near term prospects for Auris Medical from these two senior executives.